I was on such a high yesterday about Connor climbing the stairs that I could have been the mayor of Toronto. Of course, this morning brought the sobering (though still awesome) reality of this development. I thought I had secured him this morning when I ran upstairs to get something. I stayed for a couple minutes talking to Chris about his progress painting the master bedroom, then opened the bedroom door only to find a toddler charging at me from the top of the stairs. It appears I failed to secure him properly and he followed me up the steps. Bad mommy. Problem is that we actually tried installing a gate at the top of the steps but it didn’t really go so well as it is wedged between two bannisters and no wall. Same at the bottom. The bannisters just sort of start to push outwards as the door is tightened and doesn’t seem particularly safe, so we will just have to be sure to secure him away from the stairs all together. But in all my excitement about his motor development, I forgot to talk about his cognitive development. I think I did mention how excited I was when I asked him if he wanted to read his favorite book and he crawled into the play room straight to it. But I have also seen an unbelievable change in his ability to manipulate apps on the iPad. We have several that we downloaded a long time ago at the suggestion of his therapists to teach him cause and effect, but he really just banged on the screen as we tried to help him manipulate them. He did best with this one, Baby Piano, as it actually does respond well to random banging. 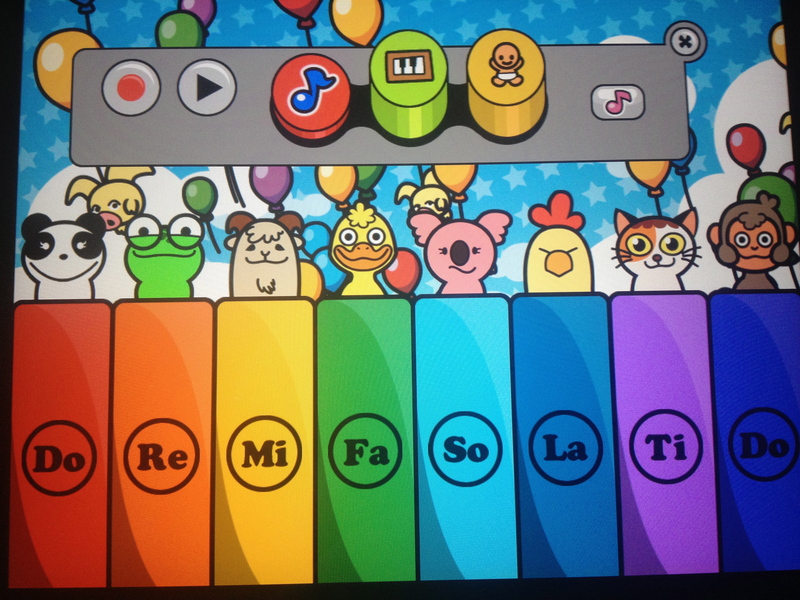 In the last couple weeks he has had a renewed interest in it with more careful tapping of the keys. He also figured out how to manipulate Peekaboo Barn independently. 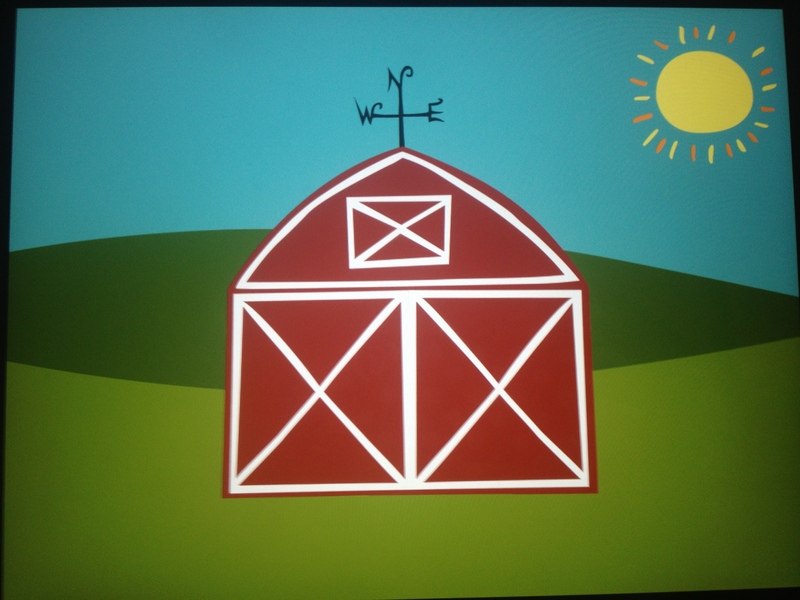 It’s pretty basic, just tap the barn door to open it and a new animal appears each time making sounds. But I could see that he was actually waiting to see what animal would appear inside instead of just hitting the screen. 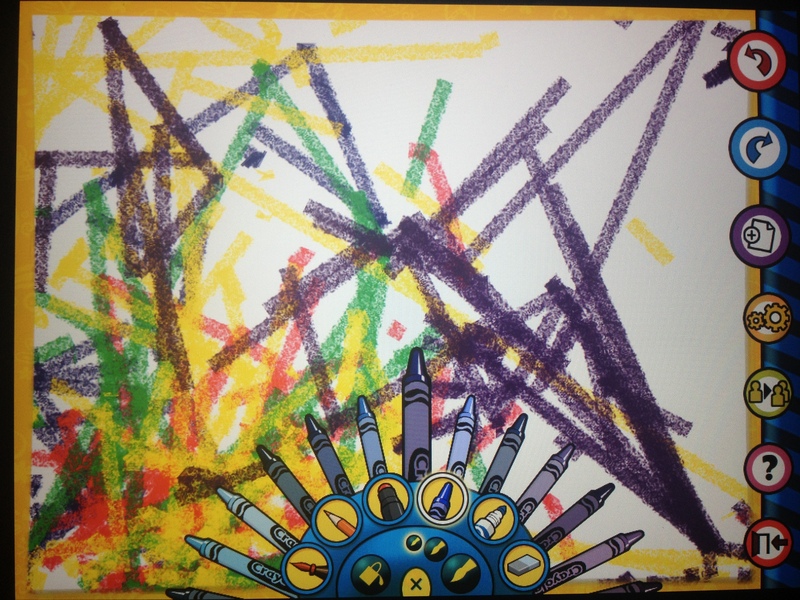 A more recent download is the Crayola App which allows him to use his finger to color. He just has to touch it to make the colors appear, and I only helped him as far as changing colors for him. And he seemed to notice that I was changing the colors. But this was the one that blew my mind. During the IFSP meeting this week, his speech therapist put Itsy Bitsy Spider on for him. We hadn’t used that one with him in a long time as it’s slightly more involved with moving characters and multiple places to tap to make things happen. I’d never seen him use it very productively. We either guided his hand or he banged randomly. Without even having seen it for weeks and weeks, he began to carefully watch the spider and tap it at opportune times to make it interact. I could barely concentrate on the meeting I was so shocked. This all such good news!!! Those gates are a problem! We have had the same problem. I will send some pictures of my solution to your email. 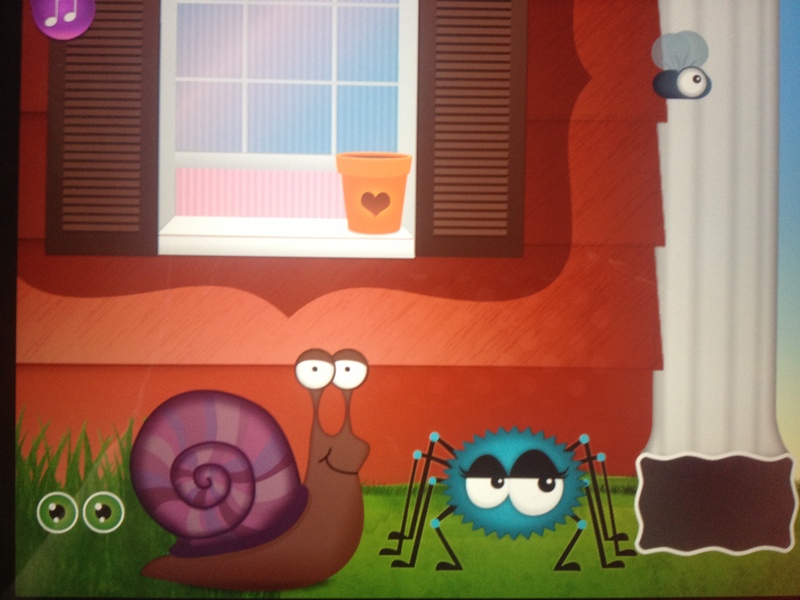 My Grey loves the Itsy Bitsy Spider app too! He loves any of the Duck Duck Moose apps too. Those are really good for our kiddos–easy to use and respond to light touch! That’s so great! May Steve Jobs rest in peace. I hope he knows what a blessing he was to the special needs community! He really was. I can’t believe I have a 20-month-old working an iPad and I’m too lazy to update my phone to ios7.